Wonder Woman may be the first solo movie featuring Diana Prince, but that doesn't mean her individual success is going to prevent her from helping out her DC counterparts. Wonder Woman has been breaking box office records ever since it was released and now it has helped push the DC Extended Universe past a pretty significant milestone. 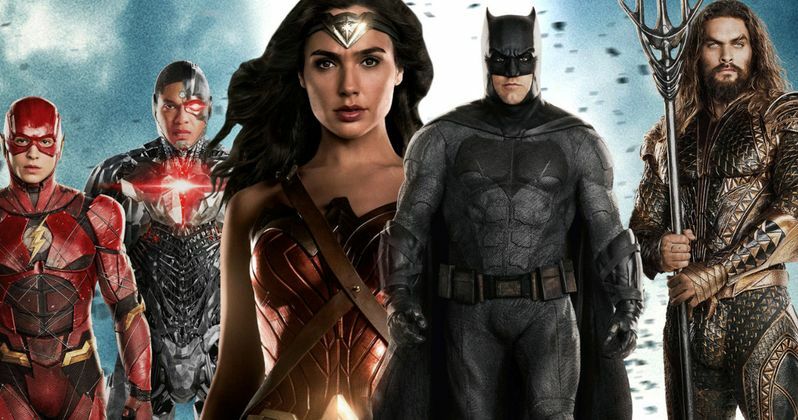 The DCEU has now collectively grossed $3 billion at the worldwide box office. According to Box Office Mojo, with Wonder Woman's Monday take at the box office, the DCEU is now officially past the $3 billion mark. That is a very big deal and makes it one of the biggest franchises ever. Wonder Woman is starting to slow down a bit after being in theaters for just over a month, so the movie probably won't be adding to that total a whole lot more, but the better-than-expected overall take for Diana Prince's first ever live-action solo movie helped Warner Bros. achieve this a bit sooner than expected. As far as how Wonder Woman stacks up against the other movies in the DCEU so far, the movie, which has brought in a grand total of $713.9 million, is currently the third highest-grossing movie internationally. Batman V Superman: Dawn of Justice still sits in the top spot with $873.3 million. Domestic numbers are a very different story, though. Wonder Woman has obliterated the competition in that respect, bringing in $350.4 million, making it the highest-grossing movie in the DCEU domestically. Batman V. Superman: Dawn of Justice grossed $330.4 million, with Suicide Squad ($325.1 million) and Man of Steel ($291 million) trailing in that respect. The DCEU has been compared to the Marvel Cinematic Universe since the very beginning and, prior to the release of Wonder Woman, it wasn't much of a competition in most respects. However, now Marvel is losing in a few ways. For one, DC beat them to the punch and gave us the first female-led superhero movie of the modern age, which has gone over very well. Also, when looking at the MCU, their first four movies didn't come close to earning $3 billion at the box office. The combined grosses of Iron Man, The Incredible Hulk, Iron Man 2 and Thor total $1.92 billion worldwide. Granted, the idea of a cinematic universe was unheard of at that time and The Incredible Hulk remains by far the lowest-grossing entry in the MCU to date. But still, Marvel has some very serious competition now. The next DCEU movie is Justice League this November. Then the whole operation is taking a short Siesta, as the next movie slated for release is Aquaman on December 21, 2018. Warner Bros. still could get a movie into production for release at some point next year, but the clock is running out on that. So they will be riding on Wonder Woman's success for a good while.